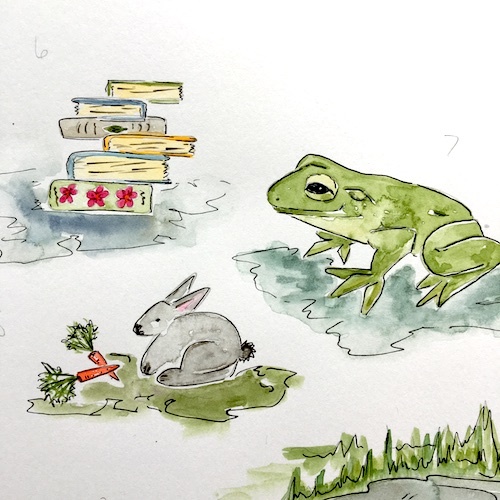 If you follow me on Instagram (@wingswormsandwonder) you’ve seen at least one of the many new illustrations I’ve posted each day from my upcoming book Wonder and Wander: An Early Childhood Nature Connection Activity Guide! I’m super excited about the fact that Wonder and Wander is nearly a reality! It’s been about 3 years coming, and had quite a few delays, but it will be available next month! Yes, as in June next month!! Adults who spend their days with children 0-6 rejoice, this one’s for you. 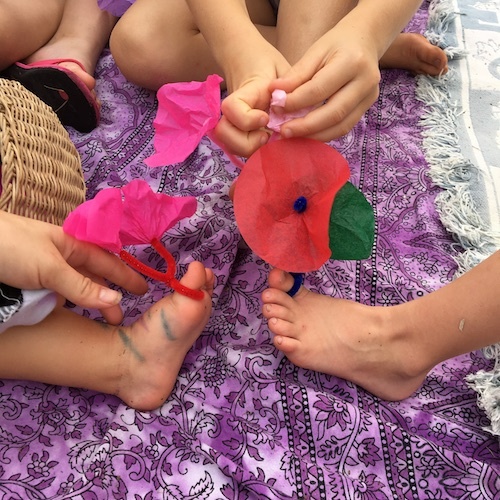 From hows and whys of being with young children in nature to crafting safe, yet engaging, gardens and outdoor play areas, Wonder and Wander sets you up for creative nature connection success – whether you guide children at home, school, in the community, or all of the above! This new book contains everything needed for adults to successfully carry out creative, holistic, wonder sparking, nature connecting activities and experiences for 0-6 age children – regardless of the adults’ personal experience and confidence in nature. This book is based on my work at the Montessori Toddler and Primary levels, combined with all my years teaching young children in garden environments. A.K.A., the 30+ activities are all child tested – hooray! 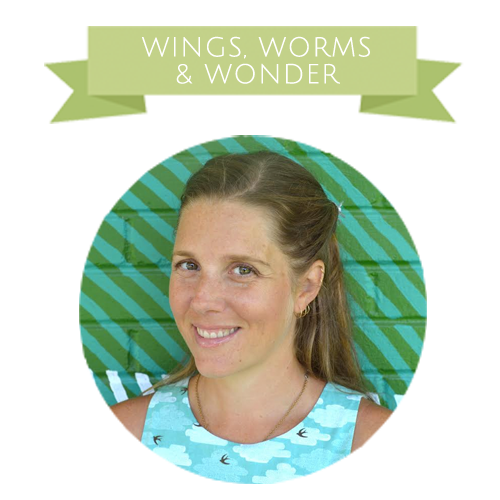 It has all the practical and inspirational goodness of Wings, Worms, and Wonder (my first book), only everything is geared for young children – although older children will also have fun with the activities too! To celebrate the upcoming release of Wonder and Wander, this Wonder Wednesday’s activity is a sneak peak version of one of the activities in the book! I hope you enjoy it, and be sure to join my email newsletter in the sidebar to your right, so you will be first to know when Wonder and Wander is available! This is a nature-centric version of the classic marble paint rolling activity – and is literally great fun for all ages! Nature and art are for everyone! The younger humans can make abstract art pieces. For more of a challenge, for older humans can turn the artworks into cards, covers for handmade journals, or base paintings for collages and mixed media projects! A shoebox, brownie pan, loaf pan, or other container with raised sides that can get covered in paint. Round, spherical seeds and bits of nature: walnuts, black walnut pods, acorns without tops, sweet gum balls, sycamore button balls, pecans, oak galls, peach pits, or any other round nut or seed pod collected locally. (There are lots of tropical varieties if you are lucky to live in the tropics.) Store bought round cracking nuts work also if no round seeds or pods are available locally. Paint – tempera, acrylic washable paints, or even liquid watercolor will work. It’s great if you can put the paint into a squirt bottle, but it isn’t necessary. Explore the collected round bits of nature. Make sensorial observations on color, texture, and shape, show pictures of the trees or plants from which these seeds grow. Place a piece of paper, cut to fit, into the container. Add 1 to 3 round nature objects to the box. Tilt the box back and forth. Let the nature bits roll through the paint and around the box and paper leaving colorful trails and tracks all around the paper. When happy with the look of the page, remove it from the box and hang to dry. 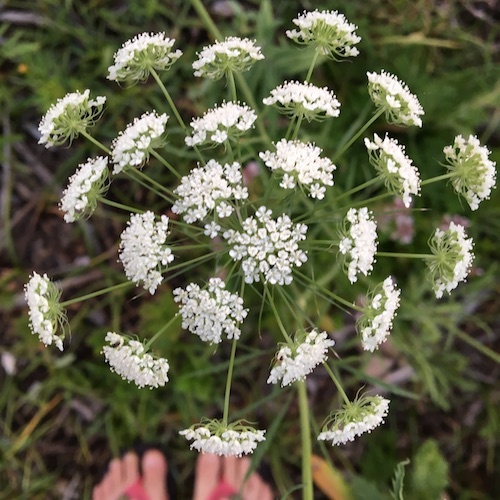 What young human could you create the nature connection experiences in Wonder and Wander for? Don’t have or work with kids but want to support the nature connection work of my little company Wings, Worms, and Wonder? Check out all the fun nature inspired items in my Etsy shop for grown-ups! Everything is handmade by me and make super gifts too! Or enroll in one of my awesome watercolor courses in my online nature painting school! If you haven’t joined my email newsletter, or updated your subscription so I stay in compliance with the GDPR regulations, be sure to fill out the little form in the sidebar to your right. Or just click here. Plus, it will let you know when Wonder and Wander is available!